Betaseed, bringing North American sugarbeet growers productivity through performance. Betaseed is committed to developing the best sugarbeet seed for every North American region. Find out more about the varieties available in your region. We are committed to developing high performing, multiple disease tolerant sugarbeet seed varieties, bringing growers more genetic value than ever before. We're always looking for highly motivated people to join our team. Join Betaseed – the leading sugarbeet seed brand in North America. Which varieties are available in my region? Betaseed offers a wide range of sugarbeet varieties and a variety of disease tolerance packages combined with strong productivity optimize field results. Find out about the varieties available in your region! Betaseed develops high performing sugarbeet seed with multiple disease tolerances. We evaluate more than 60,000 nursery plots a year – to accelerate productivity for sugarbeet growers. Betaseed offers a wide range of employment opportunities in agriculture. Interested in supporting us in our sugarbeet seed goals? Join us now! Find out how Betaseed became the number one sugarbeet seed brand for growers in North America. In 1970 a pickup truck offering sugarbeet seed for sale hit the dusty roads in rural Minnesota in hopes of selling seed to sugarbeet growers. The germplasm within the seed was obtained from a combination of sources: the USDA, proprietary genetics from overseas, and refined genetics that offered a new tool to sugarbeet growers across North America. This new tool was the basis for Betaseed: a company completely devoted to independent breeding, development and distribution of ever-improving sugarbeet performance. 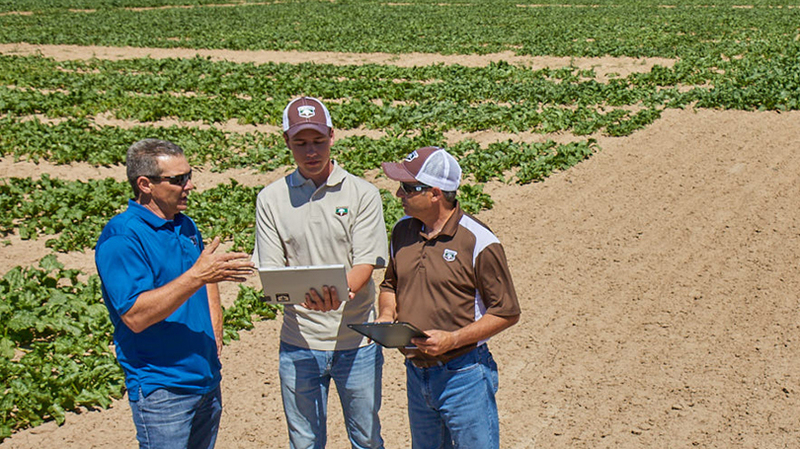 Since its inception, Betaseed has been offering productivity and revenue to North American sugarbeet growers. Through our “farm first” approach, Betaseed sugarbeet seed is planted on more farms than any other seed brand. 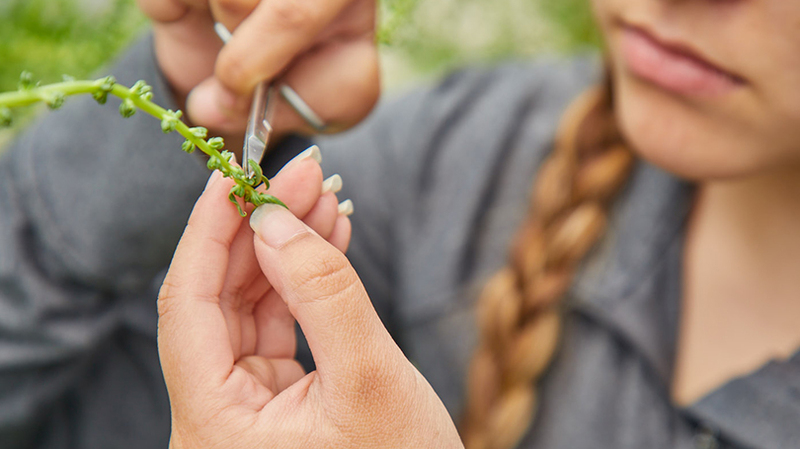 Betaseed researchers are bringing genetics to growers with more value than ever before. Five research and breeding stations work to accelerate sugarbeet seed productivity. Betaseed’s supply chain maintains ownership and total control of the seed from seed harvest and on-farm delivery through packaged seed all the way to growers. 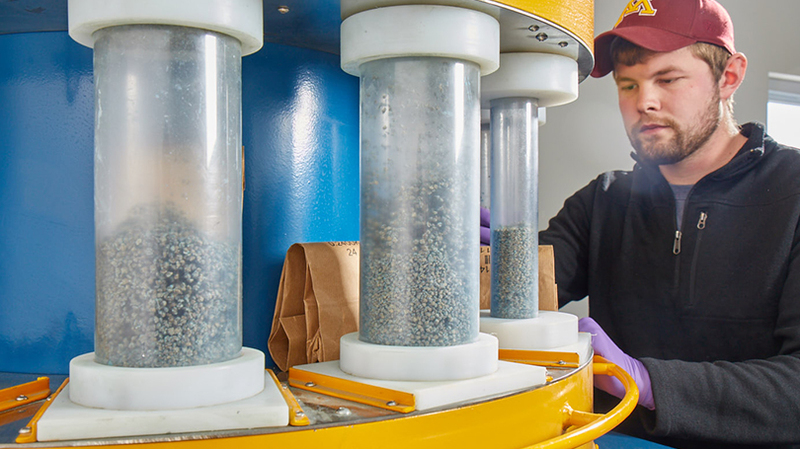 We apply a unique process that allows us to develop and market high quality seed. Each phase is controlled solely by Betaseed specialists and grower's seed is completely controlled by Betaseed's customer-centered staff. To Betaseed, seed processing and seed production go hand in hand, and both are equally important. Betaseed brand sugarbeet seed is solely processed by Betaseed Inc. located in central Oregon. Our patented BetaShield® helps growers reduce after-market chemical applications and offers the best seedling and emergence protection in North America. Weed management has been a crucial portion of sugarbeet crop management since the beginning of sugarbeet cultivation. Betaseed supports sugarbeet farmers in making their sugarbeet fields healthier and more productive than ever before. To determine the required quantity of sugarbeet seed units, enter your planned sugarbeet acreage. Then adjust the row space and seed spacing via the sliders. You will then receive the correct quantity of seed units - tailored to your needs. Bloomington, MN, July 12, 2018 – Betaseed Inc. has opened a new sugarbeet steckling storage facility in Othello, WA. Project team: J. Phillips, J. Eckhart, J. Bailie, E. Ricard, J. Enright, S. Ames, B. Meier. Missing: J. Furgala, Z. Karels and D. Nietling. The operation was relocated from Moses Lake to a more centrally located production area and to accommodate increased capacity. A steckling is a small, immature plant that is dug and stored over winter, and replanted in the spring for seed production. Construction on the new site started in March 2017 and offers approximately 30,000 square feet of computer controlled cold storage, processing equipment, general storage, and office facilities. The facility is managed by Joseph Bailie, a 5-year veteran of Betaseed, Inc. Joe was supported by various team members through the design, engineering, and construction process, and is extremely pleased with the new facility. Betaseed, Inc., headquartered in Bloomington, Minnesota, is North America’s premier sugarbeet seed supplier. 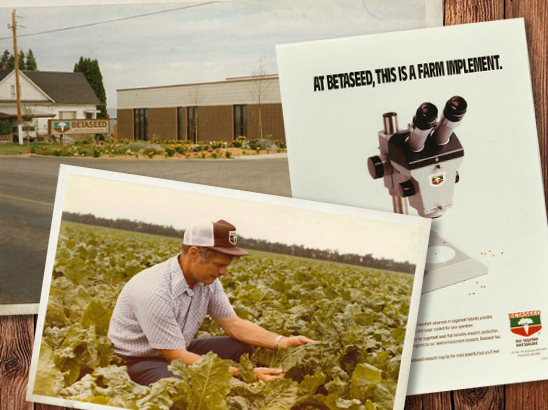 From our start in 1970, Betaseed has maintained a longstanding commitment to the beet sugar industry, with research and seed production operations in several states and marketing seed to all sugarbeet markets. Our mission is to develop the best performing seed products and services through innovative people, plant breeding, and seed technology. Bloomington, MN, July 23, 2018 – Betaseed, Inc. announces the promotion of Margaret Rekoske to Director of Breeding and Product Development effective June 30, 2018. Rekoske has over twenty-five years of experience with the Betaseed breeding and research teams where she started as a Research Agronomist and for the last 10 years has held the position of Lead Plant Breeder at Shakopee, MN. Rekoske attended Winona State, the University of Minnesota and the UC Davis Plant Breeding Academy. Her education combined with her industry experience provides a strong foundation as a leader serving Betaseed, Inc. and the entire sugarbeet industry. During her career, Rekoske has played a key part in the advancement and development of breeding goals and products. Besides the many new sugarbeet seed varieties she has developed, Margaret has been instrumental in the establishment of the root aphid greenhouse test and the Aphanomyces, Fusarium and root maggot breeding programs. As Director of Breeding, Rekoske will be more closely involved in establishing the strategic direction for the breeding program, with particular focus on projecting the future goals and product needs of the North American market. "Margaret's leadership and expertise have been invaluable to our organization and our ability to provide our customers with the varieties that are best for their operation" said John Enright, Betaseed president.